With a country-wide agent network, we assist banks in designing new products and services for the under-banked population through a combined technology and distribution channel to enable a rapid reach out, thereby altering the lives of the beneficiaries - the unbanked customers who are excluded from the formal banking system until now. Corporates – we design and deploy payment solutions for corporate organizations and public agencies for payroll, sales and revenue collection. Our typical partners are mainly Banks, Financial Institutions, Mobile Operators, Services providers and Distributors. Thousands of satisfied partners and end users have chosen fets’ technologies and products to launch and manage their businesses, using our secure online & mobile payment solutions. 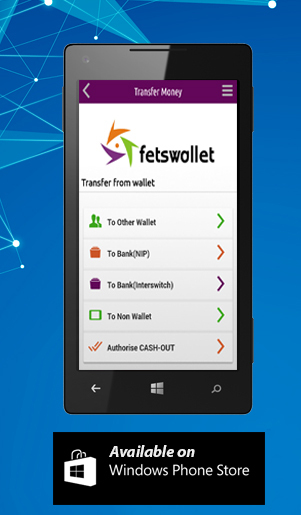 fets team is at the edge of online & mobile payment technology, and helping a fast growing number of customers (mainly unbanked) to securely make online payments, pay bills, purchase airtime or transfer funds from their mobile phones.